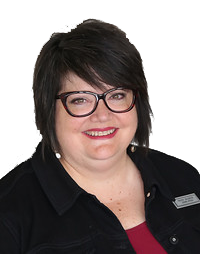 Wendy is a licensed optician and has worked for Dr, Kristin Campbell since 1999. She loves our patients and is excited to help them with frame styling and other needs. She graduated from Columbus State with her AA in Vision Care Technology. She enjoys spending time with her husband, gourmet cooking, singing, church activities, her cat Theodore, and she is a huge Buckeyes fan!